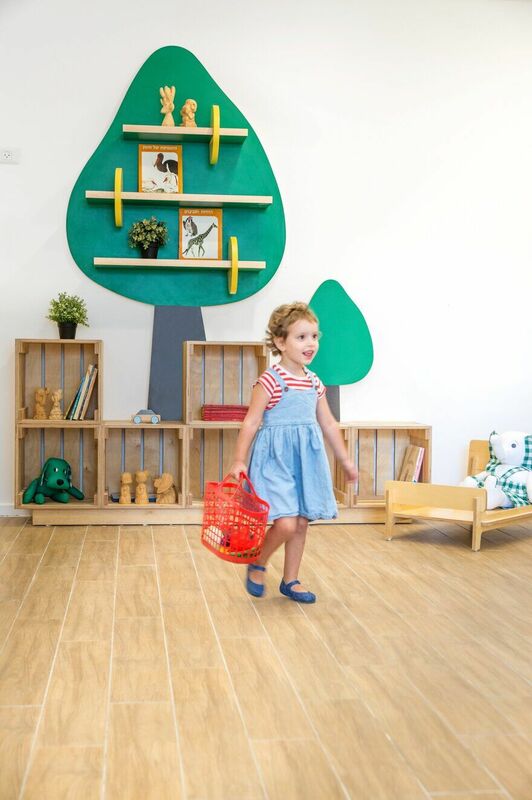 A new kindergarten complex was recently launched on the site of the former Farmer’s Market in Tel Aviv, offering the residents an extensive educational project with innovative planning and design. 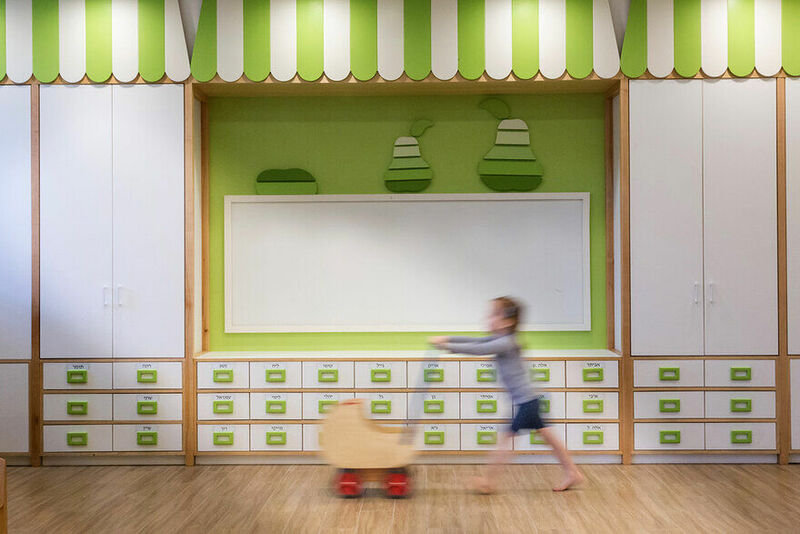 The space includes 6 kindergartens and 3 daycares that have their own individual identity but are joined as one collective space. 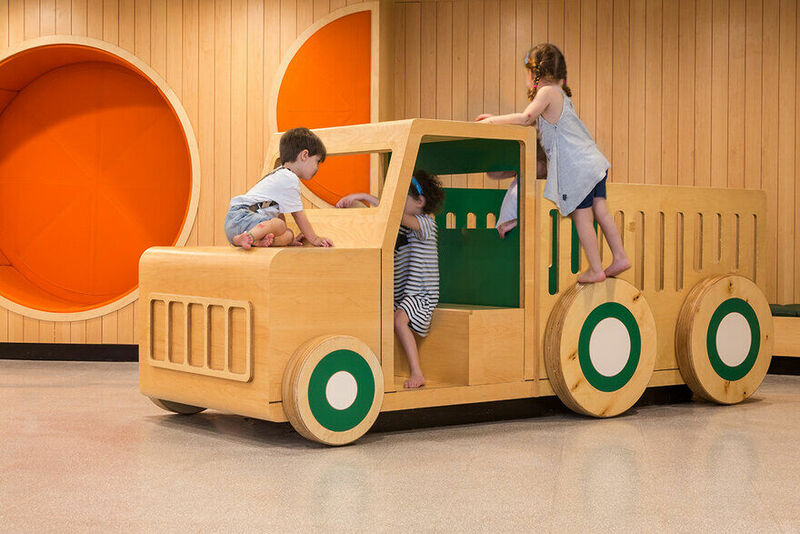 The communal lobby functions as an imaginative gathering area between the kindergartens and the daycare. 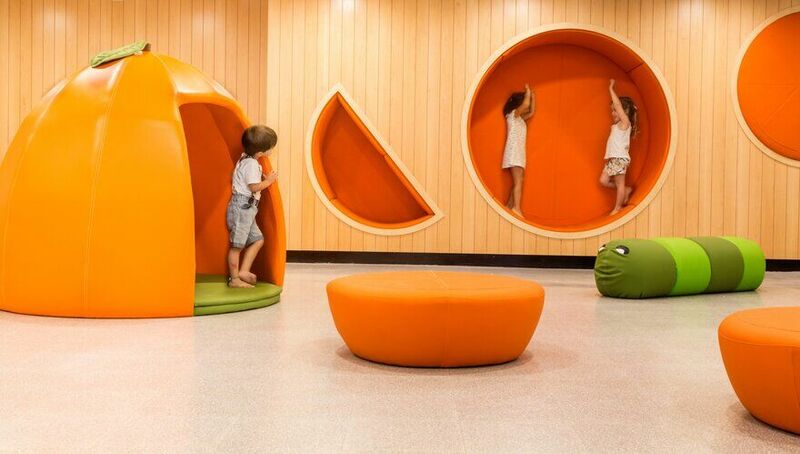 It contains a large wooden interactive wall comprised of nooks shaped as oranges in different geometrical shapes allowing the children to sit, rest or play. 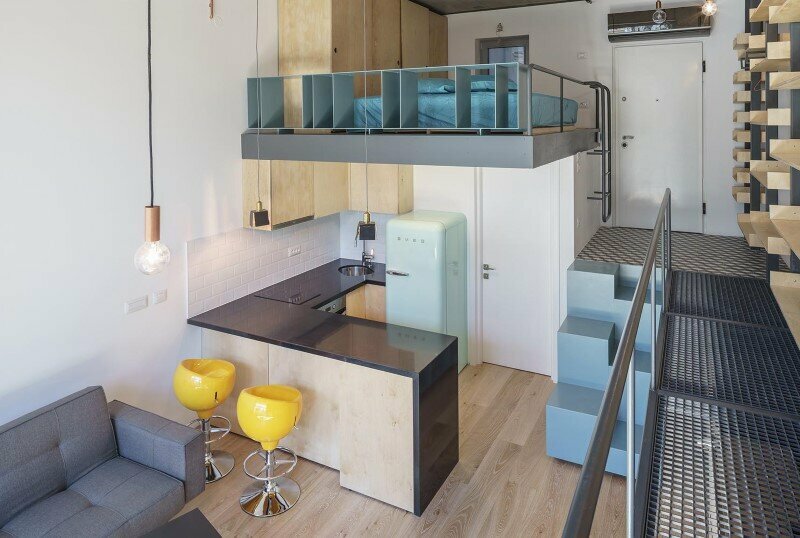 The design concept was inspired by the history of the site and the city of Tel Aviv. The site’s long running history as a wholesale market and storage facility was a recurring theme for the development of the design strategy. 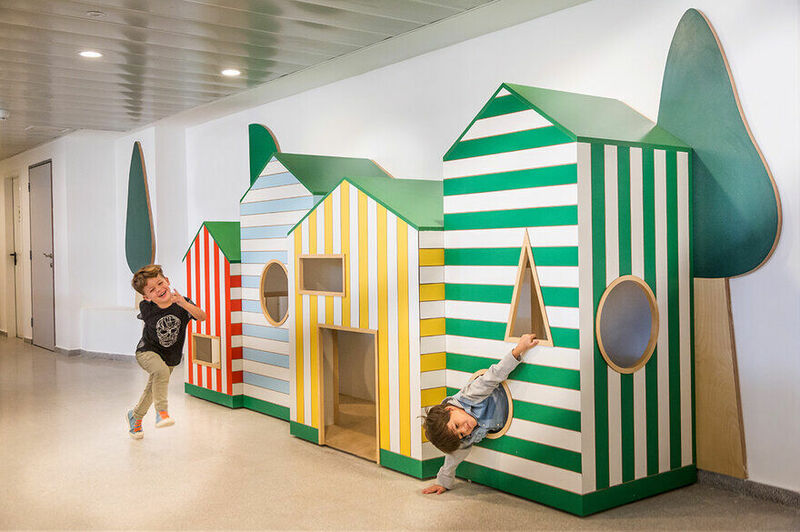 The kindergartens were designed by themes of vegetables and fruits and market life. The main lobby’s orange theme was inspired by a classic Israeli children’s book. 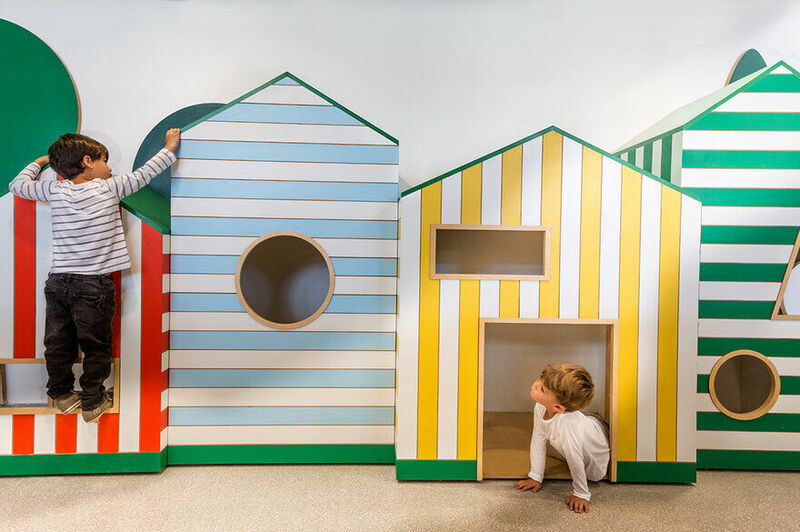 We believe the educational environment should be designed in a way that promotes play and develops a child’s desire to explore and experience. The complex was designed in a way that each Kindergarten functions as an autonomic unit meeting the needs of each specific age group. 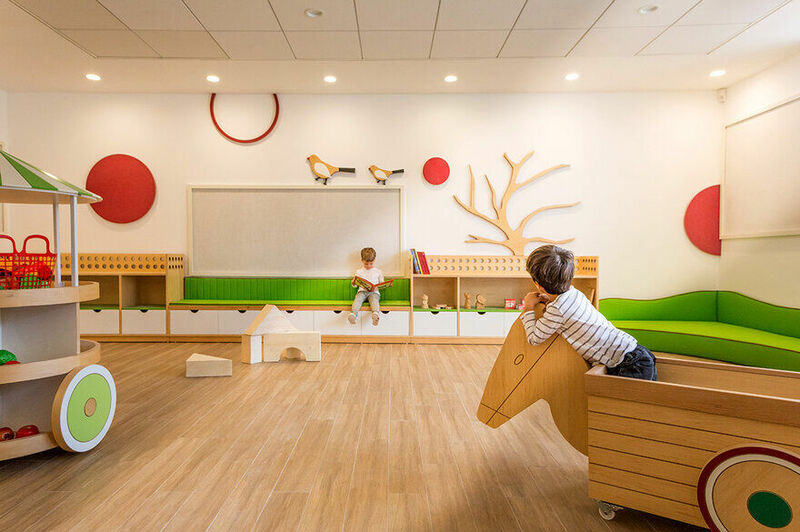 The communal spaces add value for both the Kindergarten & the Nursery, creating a joint space for all. 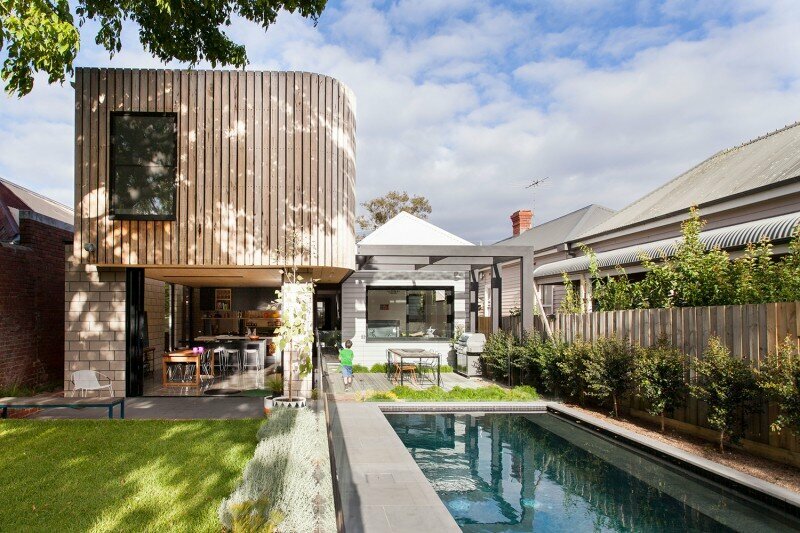 The integration of a bright universal language with local motives that emerge organically from the place and its recent history is characteristic of Shani Hay’s design language, which is not only formalistic but also narrative, promoting playful activities. 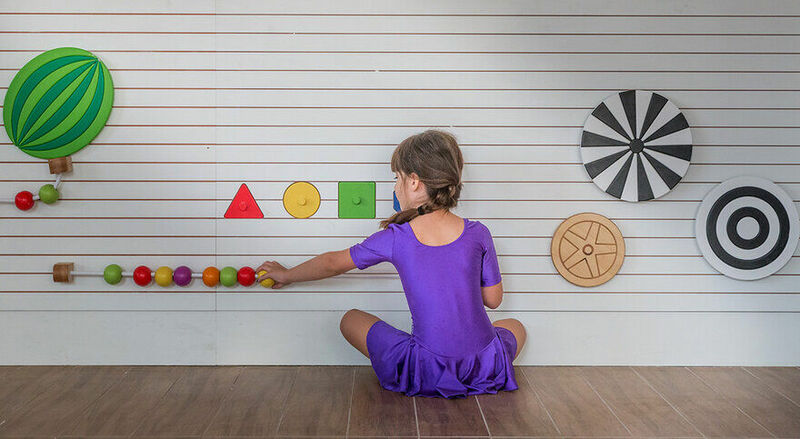 The space design took into account both the pedagogical needs and the desire to promote a friendly playful setting, which offers hands-on activity and a lasting experience. This 21st century educational kindergarten complex is designed in a way that promotes learning through enjoyment and imaginative play. 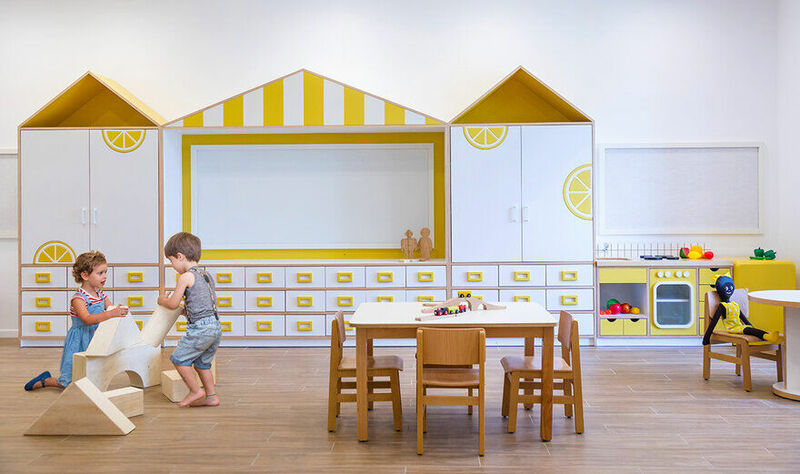 The distinctive character of each kindergarten was dictated by the fruits or vegetables identified with it, which served as a design code and gave rise to its color scheme and components, as well as its overall design. 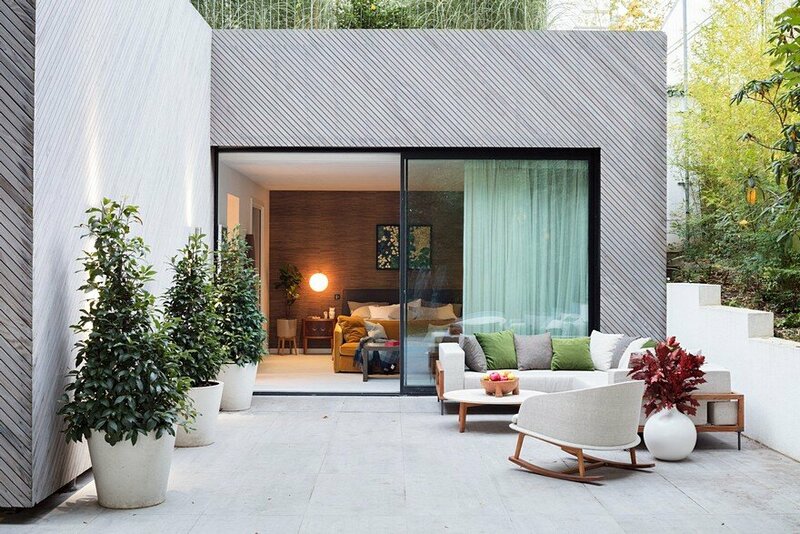 The materials chosen are particularly durable. Stainproof upholstery fabrics as well as natural wood maintain the appearance and cleanliness of different spaces in the complex over time. 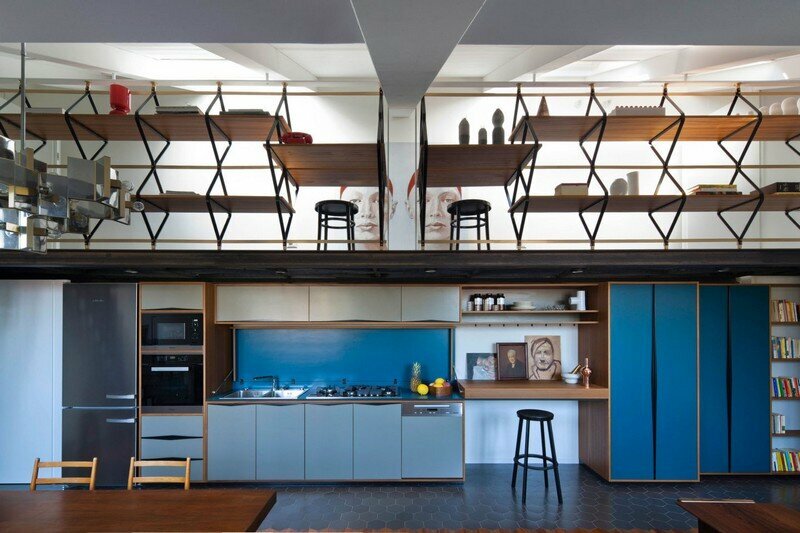 A natural and authentic language is used with definite and clear bright colors. 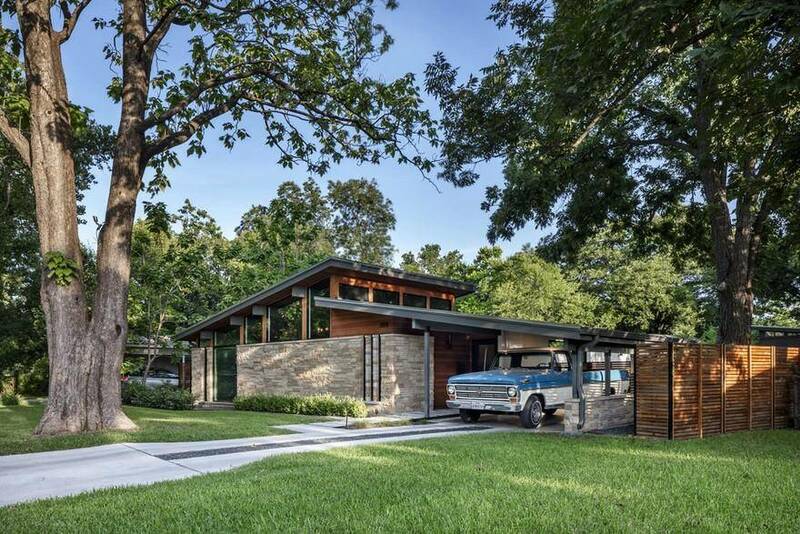 Graphic and symbolic motifs were intertwined to meet functional needs. 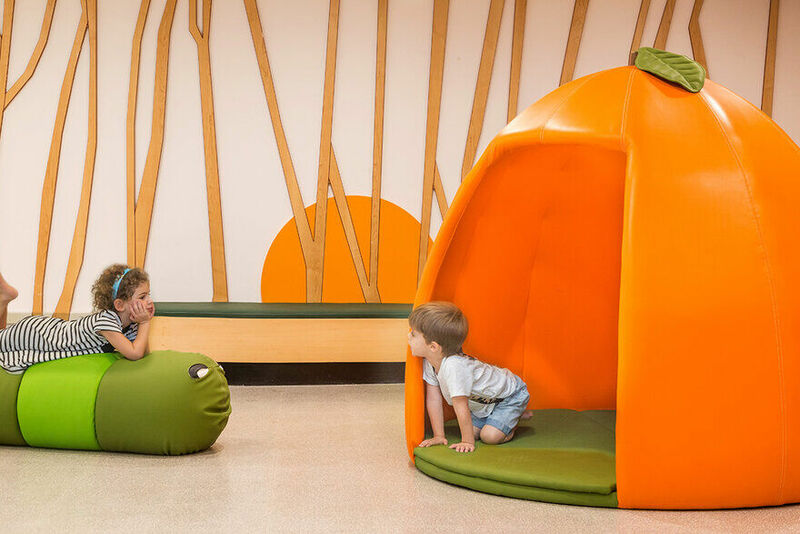 Our design goal was to create furniture and accessories that can be aesthetically accessible and adapted to the children’s body structure. 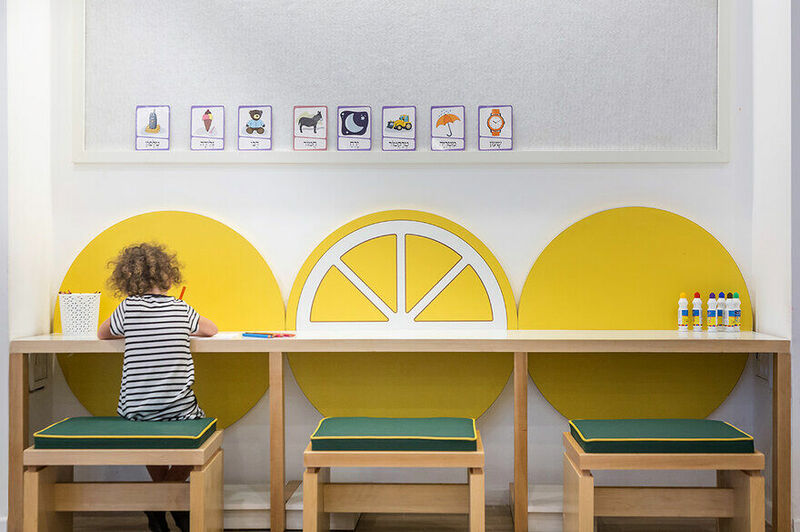 The kindergarten’s design language draws on the active design principles: an open, modular space, which follows the principle of peripheral furniture surrounding portable playing and padded sitting areas at its center. Each kindergarten contains different activity stations that promote sociodramatic play. 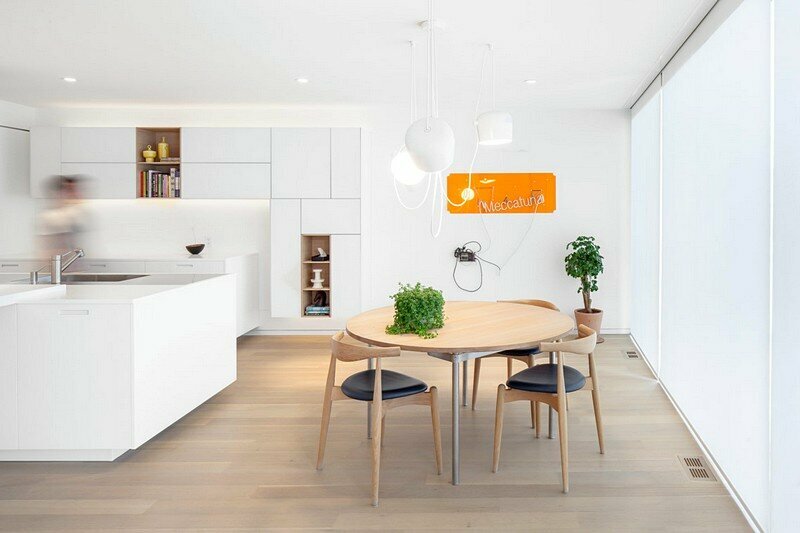 All the furniture and objects were custom made, using the most advanced CNC technologies and are made of raw materials such as plywood and solid wood. The design of the educational center was carried out to ensure the needs of the children and the community be met. Following the observation of children of varying ages, a profound joint dialogue between the educational staff, the municipality and the architects of the building occured. It was important for us to create a cluster that paid homage to the cultural background of the distinct location and the city of Tel Aviv. The biggest challenge was creating an innovative learning space that provides for the children while taking into consideration the building requirements as well as the needs of the community.